Burrata is a fresh Italian cheese that's very similar to fresh mozzarella, only creamier. The outer shell is solid mozzarella, while the inside contains Stracciatella and cream, giving it an unusual, soft texture. It is also defined by some sources as an outer shell of mozzarella filled with butter or a mixture of butter and sugar. It is usually served fresh and at room temperature. The name burrata is derived from the Italian word burro, which means butter, which gives some insight into what this cheese is all about. Burrata is filled with thick, fresh cream and tiny shreds of stretched mozzarella curd that spill out when the cheese is cut into. It's a little bit like eating a molten ball of fresh mozzarella. Some brands of burrata cheat and are filled with mascarpone cheese instead, although this is not a traditional filling for burrata. Burrata starts out much like mozzarella and many other kinds of cheese, with rennet used to curdle the warm milk. But then, unlike other cheeses, the fresh mozzarella curds are plunged into hot whey or lightly salted water, kneaded, pulled, and twisted to develop the familiar stretchy strings of burrata. This stretched curd is also known as pasta filata, which gives the cheese a soft but slightly elastic texture. The remnants of mozzarella are used in a genius (and delicious) way to fill balls of burrata (along with whole cream). The flavor of mozzarella and burrata are very similar. The real difference is in the texture. Burrata is looser, creamier, and richer. To eat burrata, one only has to slice into the ball of cheese and the creamy filling will be revealed, often spilling onto the plate. 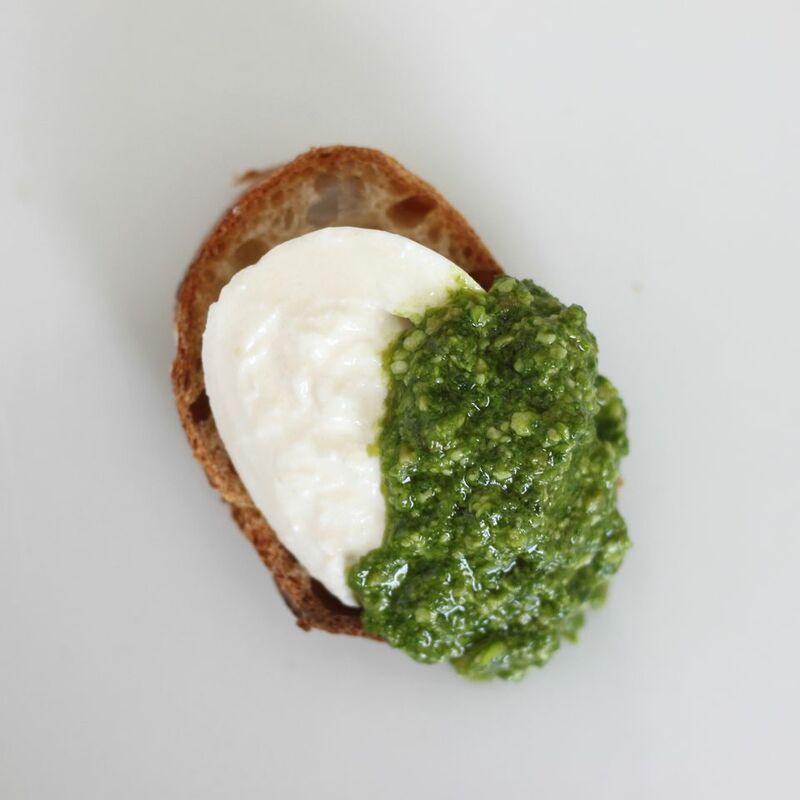 For the most flavor and best texture, bring burrata up to room temperature before serving. Burrata is often served with a simple sprinkle of salt and drizzle of olive oil. Slices of good bread can be used to scoop up the burrata, or the soft cheese can be spread onto crackers. Burrata is also often served like mozzarella, with fresh tomatoes and basil, and is a decadent and delicious topping for pizza. (Add the cheese to pizza near the end of the baking process, so it gets warm but not too watery.) The mild, creamy flavor of burrata also pairs well with summer fruit like fresh berries, melon, and stone fruits, as in burrata with seasonal fruit coulis, and grilled figs and burrata with balsamic dressing. Burrata should be eaten as fresh as possible. When burrata has gone bad, the flavor is sour and it will smell like old milk. In Italy, eating burrata as soon as possible might mean eating it on the same day that it is made. In the United States, you probably won't be as lucky, but look for burrata that isn't too close to its "sell-by" date and ideally eat the burrata the same day that you cut into it.